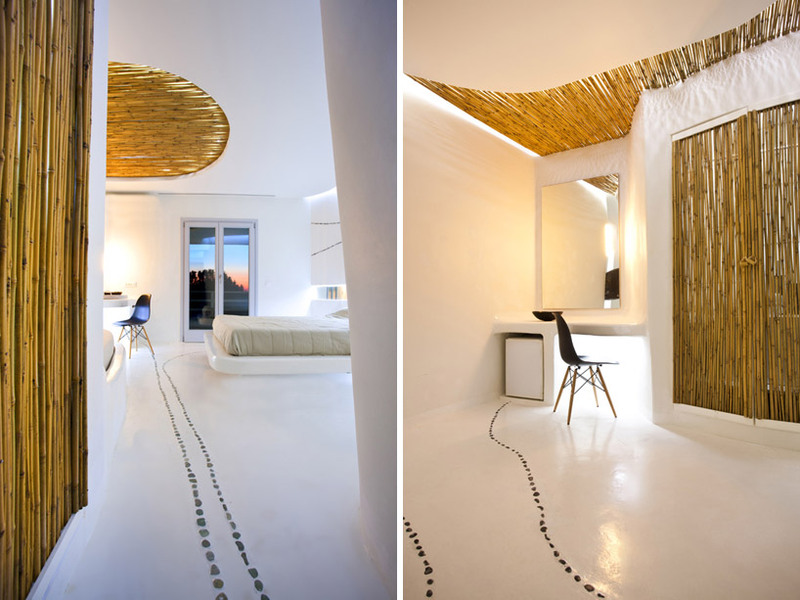 Athens-based firm klab architecture has recently completed the ‘cocoon suites’, the transformation of the andronikos hotel’s interior on the island of mykonos, greece. 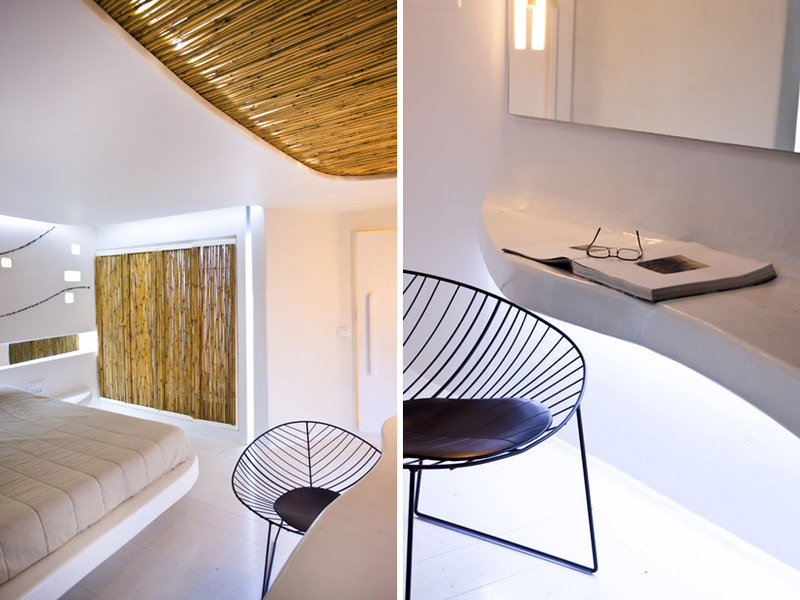 Rounded, curved and white forms create an internal landscape which parallels the characteristics of vernacular architecture found on the island. 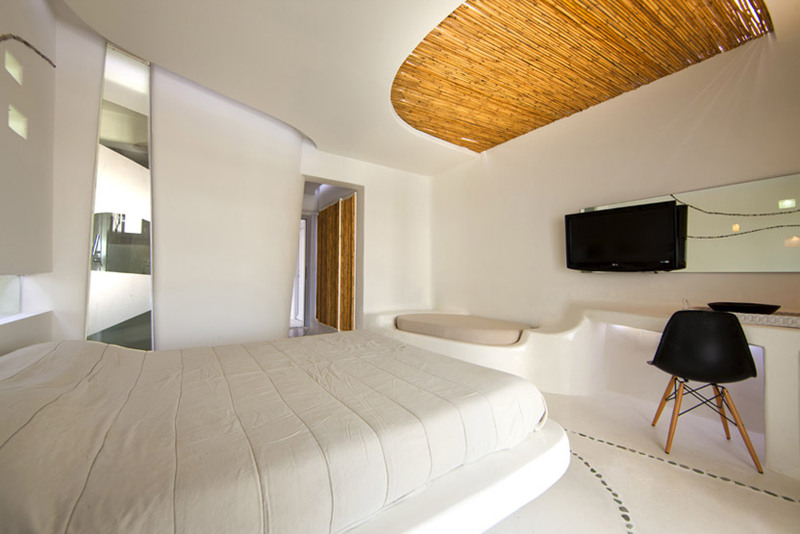 Elements of purity, simplicity and fluidity come together to present guests with a collective experience of surprises. taking the essence of the surrounding exterior environment, irregular and unaligned partitions are inclined and slanted. 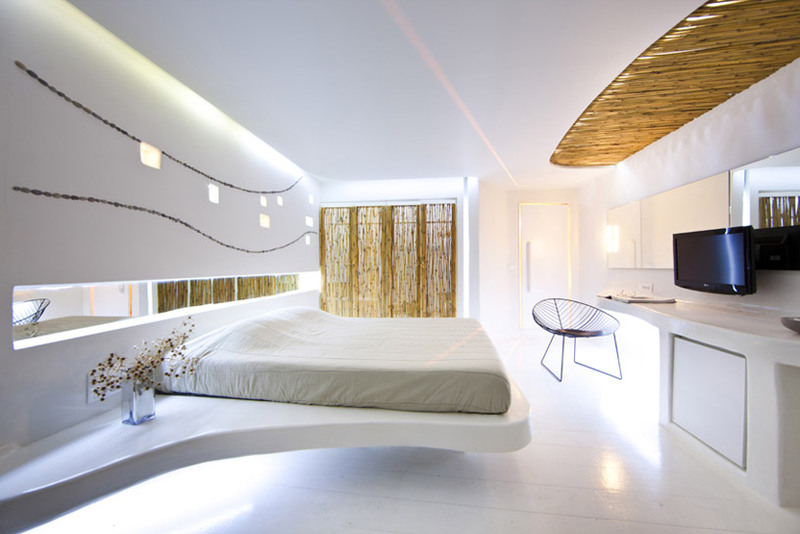 Furniture is attached to the walls, generating the feeling that objects emerged from the rocky terrain. 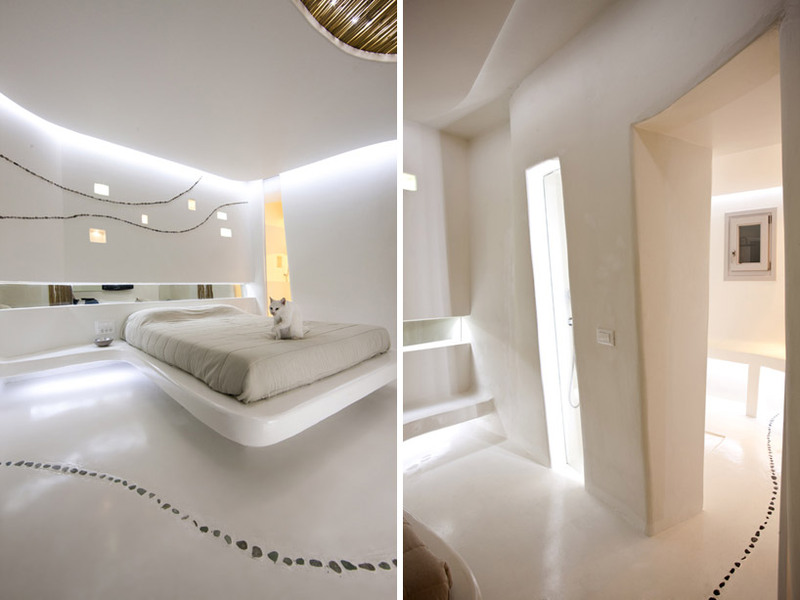 the cement flooring. 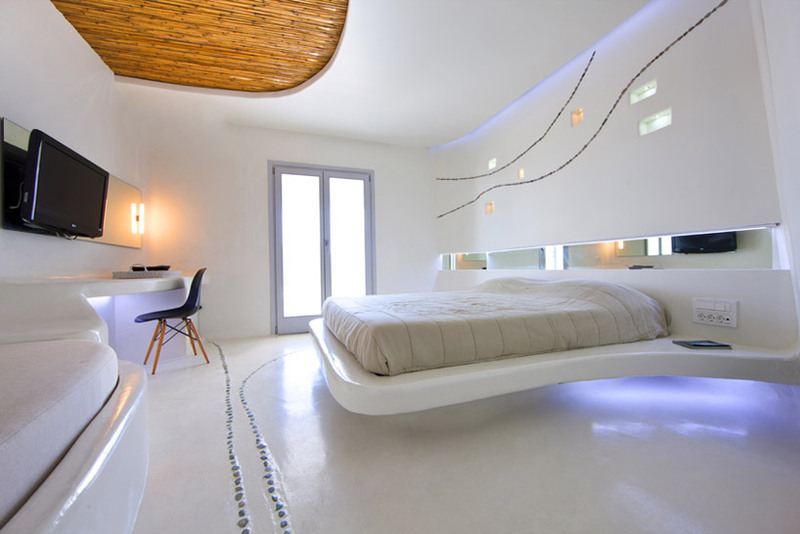 Meanders from room to room, the delicate paths of stones connect spaces within each suite.